Next week the Oregon Brewers Festival kicks off on Thursday with the Brewer’s Brunch & Parade. Festivities start at 9:30 a.m. Thursday July 28 at McMenamins Crystal Ballroom. The brunch and parade open the 24th edition of Oregon’s oldest, biggest beer festival. The parade of 650 brewers and beer fans to Tom McCall Waterfront Park will be led by the Godfather of Beervana, Fred Eckhardt. The main event, the largest outdoor beer festival on the continent, runs from noon-9 p.m. Thursday July 28 – Sunday July 30; noon – 7 p.m. July 31 at Tom McCall Woterfront Park. Adminsion is free, $6 for tasting mug and $1 per token. Eighty craft breweries from all parts of the nation offer handcrafted beers and there’s more than sampling involved., including live music all four days, beer-related vendors, beer memorabilia displays, beer writers and publishers, homebrewing demonstrations,and an assortment of foods from a variety of regions. Beer Beer Beer! Be sure and check out the Collaboration White IPA tasting with Bend’s own Deschutes Brewery and Boulevard from 6-8 PM at the Apex Bar. Join OPB and Deschutes for an extremely rare opportunity to taste these two White I.P.A. 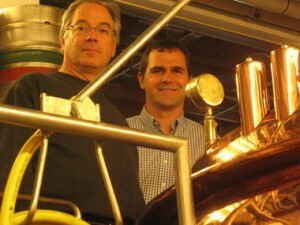 collaboration brews, dreamed up by Boulevard Brewmaster Steven Pauwels, and Deschutes Brewery Brewmaster Larry Sidor. This exclusive side-by-side sampling of the two collaboration beers will be the only time outside of the OBF buzz tent that these two talented brewmasters will be together on the west coast for this release. Don’t miss your chance to meet and talk to them face to face about how this beer came together. 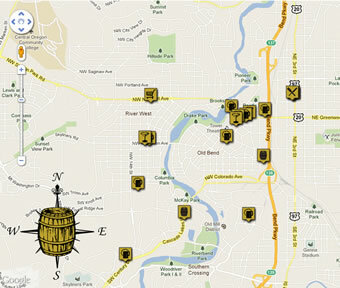 Check out the beers available and events at the festival this year.